We apologize for the inconvenience, due to the high number of computer repairs LFC is NO longer taking any new computer repairs or tech assistance. For Low-Income people in Monterey County and beyond. All computers Bilingual. Refurbished desktop computer systems start at $59. Chromebook laptops are $35 (SOLD OUT). We're looking for volunteers, people eager to learn and share their time and talent to help keep Monterey County connected. We are happy to partner with the Americorps Program here in Monterey County. With Americorps help we are able to provide more support to all the wonderful people that chose to volunteer with us! Volunteers + Americorps = A Better Community! LFC Wins Non-profit of the Year! 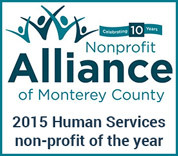 LFC was honored by The Nonprofit Alliance of Monterey County as the "Human Services Nonprofit of the Year" in recognition of our outstanding volunteers and the many services we provide to help people of all ages gain new skills, knowledge, and confidence. 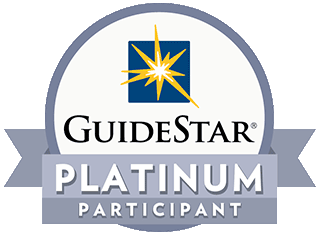 LFC Volunteers win a great award! 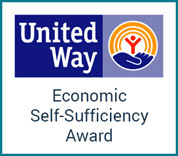 ﻿LFC volunteers won the Economic Self-Sufficiency Award from the United Way April, 2016. Thank you to all of our volunteers, equipment donors and supporters for "changing lives, one computer at a time". ​Loaves, Fishes and Computers’ (LFC) mission is to help overcome the digital and economic divides by providing low-cost or no-cost computer systems, technology assistance and computer repair to low-income families, seniors, veterans, people with disabilities, and non-profit organizations, while providing volunteers a place to learn, share & grow in the field of Computer Science & Information Technology.